What happens to a child’s milk teeth when they grow older? Usually, they fall out to make way for their adult teeth. However, in some cases they don’t, remaining in while their replacements grow in front or behind them. This is called ‘paediatric shark teeth’, and affects around one in ten children. 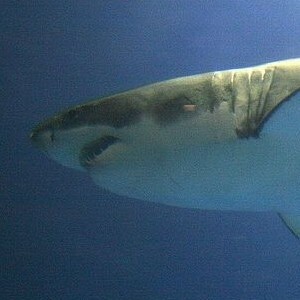 It is named after the fact that many sharks develop two rows of teeth, or even three in some cases. In most humans, it just means that a child might grow one or two adult teeth before their milk teeth fall out. However, one eight-year-old boy has made headlines after growing an entire set of teeth without losing any of the old ones! Zak Brown, from Wakefield in West Yorkshire, has two full sets of teeth to maintain, earning him the nickname ‘Jaws’ from his classmates after the famous shark. The condition does not cause Zak any discomfort, and his milk teeth have finally begun to fall out with the first one dropping last week. He has been upset for a while about the fact that his older sister and younger brother have both been getting money from the tooth fairy while he hasn’t had the chance. To make up for this, his parents have given him a big payday for his first tooth, which netted him £10. However, poor Zak may have to undertake surgery to remove all of his excess baby teeth. Although he can eat without trouble and doesn’t suffer from any pain, the teeth are beginning to affect his speech. In addition, Zak has two sets of teeth that he needs to care for, brushing each regularly and struggling to get in between the gaps in the two rows. He needs extra dental appointments as well to help care for his impressive set of teeth. Here’s hoping the rest of his milk teeth end up falling out on their own!